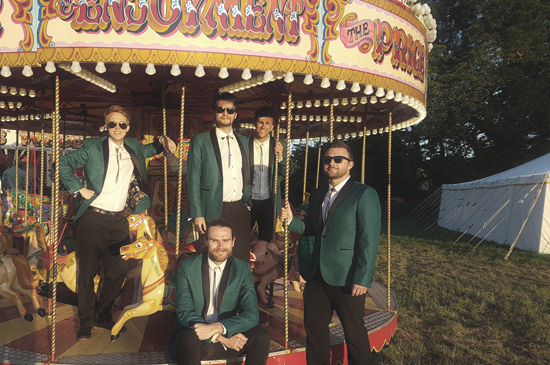 The Bandits are a London-based five-piece rock & roll band who, with their own (musical and literal) twists, bring to life vintage classics and retro rarities. After a critically lauded run of rock musical Hedwig and the Angry Inch at Edinburgh's George Square in 2010, Steve, Jon and Bruce joined forces with Luke (all graduates of Royal Holloway University of London) to continue their drag-rock shenanigans and form "Lola and The Bandits". A while later, Jon got bored and deviated to a more 'civilised' percussion, whilst Will took up the mantle of Best Drummer This Side Of The South Circular. 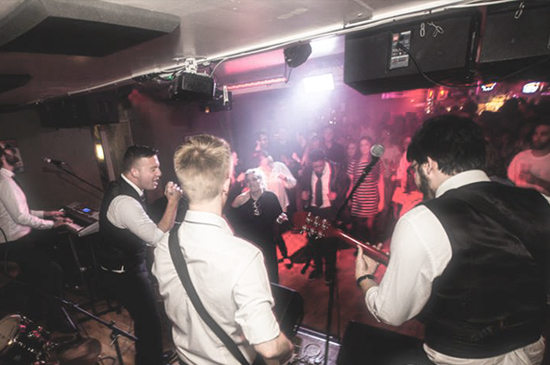 They swiftly jumped onto the wedding circuit, and are currently gigging across the country. By day, Steve is a professional actor and Bruce is an unprofessional technician; Luke makes people laugh with his sketch duo In Cahoots; Jon exasperatedly teaches music both at a secondary school and in the rehearsal room; Will does Something Really Important in The City that involves Money. 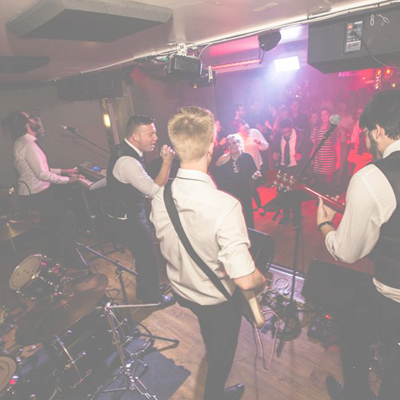 Performing all of the top toe-tapping tunes from the fantastic Fifties, The Bandits guarantee to get you and your guests jumpin' and jivin' all night long! Bruce had pestered the rest of the band enough to book a quick session in a studio one cold autumnal evening to record two or three drum tracks, for the possibility of a couple more decent recordings for promo purposes. Three hours with One-Take Wonder Will later, and he had stems for a decuplet of delightful dance numbers. Mostly recorded in Jon and Bruce's respective spare rooms, Getting Into Treble showcases some superb snippets of our rockin' and reasonably-priced repertoire, and is a masterclass on how to fairly successfully mix four blokes with a cold. Dependent on ease of accessibility to the venue, we take roughly 45 minutes to an hour, inclusive of a sound check. That's entirely up to you; our versatile set list means we can play anything between one chord and our entire rep! Usually, parties for an hour, weddings for two - all negotiable. And how long are your intervals? A quick 10-15 minutes should do it; it's important to rehydrate! Can we come and watch you play somewhere else first? Of course - you're more than welcome along to any of our public gigs. 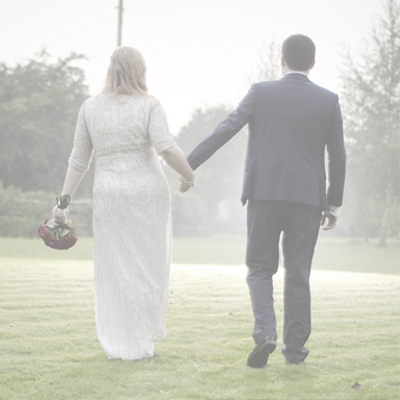 Come and chat to us about tailoring our set to suit your event. Does that mean you do requests? Absolutely; if you have particular songs in mind, '50s or otherwise, let us know! A small additional fee will be charged for rehearsal time. My venue hasn't got much sound equipment; what can you provide? Pretty much everything! We can provide all of our own backline and sound reinforcement; have a gander at our tech rider for more info, but please note that we only bring our stuff at your explicit request. We've got public liability insurance (certificate available on request), and all of our equipment is PAT tested by a qualified technician. For any technical queries, just drop us an e-mail. What sort of power supply do you need? A few 13A sockets is all we need. Drinks and snacks are welcome, too! And what sort of space do you need? We're very flexible, but let's say a minimum of 8' x 12'. Sounds great! So what would you charge for a gig at my venue/party/wedding? 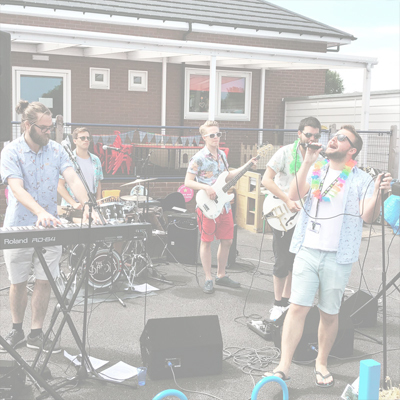 There are numerous factors to consider - duration of set, transporting our equipment, rehearsal costs should you request extra songs, and so on - but fees are always negotiable, so get in touch for a quote! So how do we give you money? Bank transfer or Paypal usually, but cash on the night is fine too. You'll get two invoices with full cost breakdowns - an initial deposit (usually 50%) alongside your booking contract, followed by the remainder around a week before your event. Nope. We're not VAT registered, so you won't have to pay anything more than the quoted price. Can't thank you enough - you were all absolutely brilliant and you really made the night! Such great energy and you are all incredibly talented musicians. Everyone said how amazing you were - it's a rare wedding where the dance floor is packed all night, but also the best kind of wedding that we were both hoping for. Everyone was loving it! 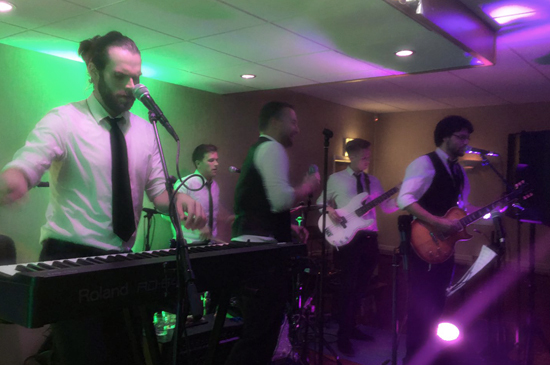 We will be recommending The Bandits to all our friends who get married and will certainly come and see you play again! Just wanted to say a huge thank you to The Bandits for playing at our wedding. We had run totally over but the stress dissipated when you guys started playing and had everyone up in no time! We were absolutely exhausted from all the dancing. Our guests loved you all the way from the 4-year-old to the 94-year-old! 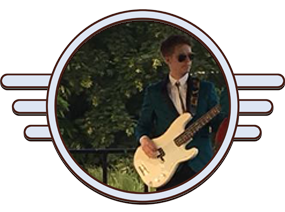 We wouldn't hesitate to recommend you, and we look forward to seeing you perform again! To anyone debating the idea of booking The Bandits: THESE GUYS ROCK! Their outfits rock, their moves rock, their songs rock; they also roll... everyone from their seats and onto the dance floor! They absolutely MADE our wedding and we can't wait to hold another event to have them play at again! Thanks so much for being such a talented band and for playing for us! The Bandits were brilliant and sounded awesome; even when playing to a small crowd, you guys had so much energy. You really made the night special for us - we had so many comments about you from the other guests on how much they enjoyed listening to you and several people asking for info. We will definitely be recommending you to as many people as possible. 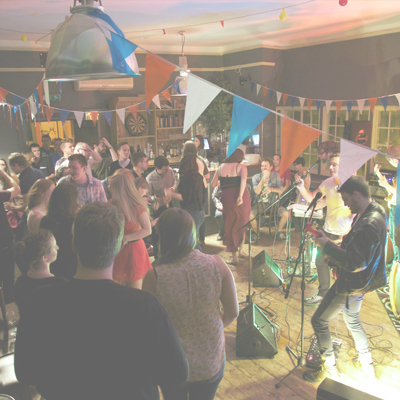 If you have just stumbled upon The Bandits, book now! 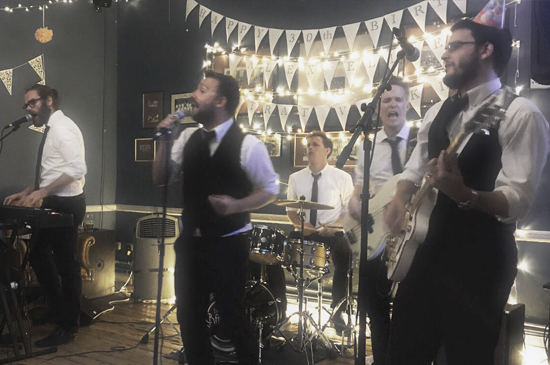 They did a fantastic job playing at our wedding; everyone has been saying how great they were and they even bridged the gap between young and old, appealing to all the guests. Their laid back and fun energy really transformed the atmosphere from the moment they arrived and the sound was flawless, incredibly professional. They also did an amazing cover for our first dance too! We are so happy we booked you, thank you! 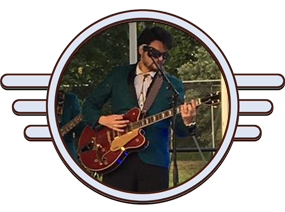 We had the pleasure of doing the sound for this excellent band at the Vintage Nostalgia Festival 2018. We thought they were superb - Will definitely recommend you to clients. Can’t think of a better band to get the crowd going. We wish you guys all the best for the future and hope to work with you again soon. Massive, massive thank you to The Bandits! You were totally amazing and everyone has truly danced the night away; you sounded brilliant. Had nothing but positive praise for for how excellent you all were. Thank you from the bottom of my heart for giving up your time and helping us raise money for H.A.L.O. Here's to the next time! The Bandits are my top pick for any event - they're always an absolute joy to work with, and guaranteed to get everyone dancing. 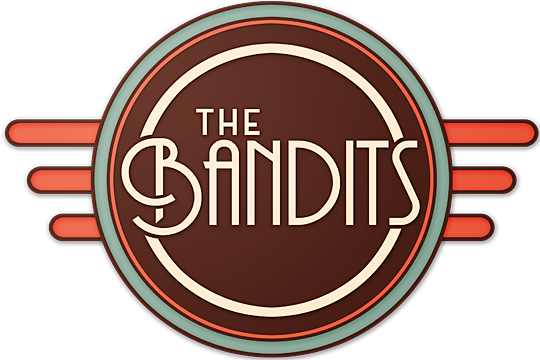 We've been lucky enough to have The Bandits play several of our events, and they are always punctual, professional, prepared and fabulous. I'm continually amazed at their talent; they produce an irresistibly upbeat sound, and have a distinct sing-along-ability to rouse a crowd. Last time I heard them play I bruised my thighs after overexerting myself on the Hand Jive - that's how good they are. Thank you so much for coming to play at Brimmington Festival. I really enjoyed all the songs - I'll have to come along to one of your gigs soon with my dancing partner this time! 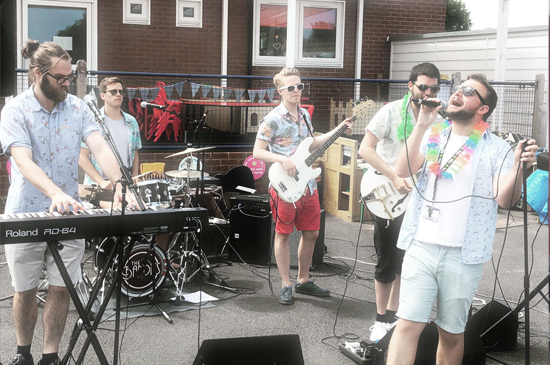 We got lots of feedback from people who loved your music - and it made it a really special way to finish off the day to have such a brilliant band playing. The Bandits were our headline act ending the night at our Dark Fabrics Cabaret show. 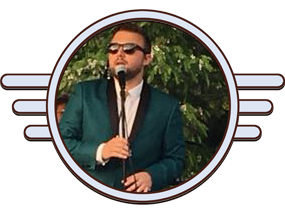 They wowed our crowd with a brilliant selection of 50s hits, superbly played by the talented band; lead singer Steve suavely brought back the art of true showmanship in a frontman. Our audience were off their feet, benches pushed back and dancing away halfway through their first song, and it was a stellar finale to our performance showcase event. We would gladly book The Bandits again - or catch them at another venue! ...or message us right now! Copyright 2017 Bruce Asher. All rights reserved. With thanks to Cristian Ghergulescu. Video courtesy of Alchemy Productions. 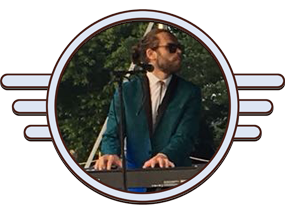 The internationally renowned Vintage Nostalgia Festival returns to gorgeous Stockton Park for another year of fantastic festivities, and we've been invited back to rock n' roll with the very best of 'em! After having perhaps the best gig we've ever done last year, we can't wait to get back to VNF - this time on the main stage! Come down and boogie with us on the first weekend of June with some of the country's greatest vintage talent - click below to have a look at this year's excellent and ever-expanding line-up! 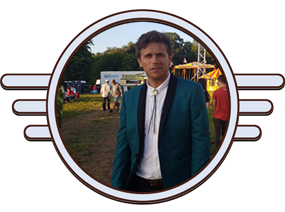 Get ready for a super swingin' summer set, Stockton Park - The Bandits are back!